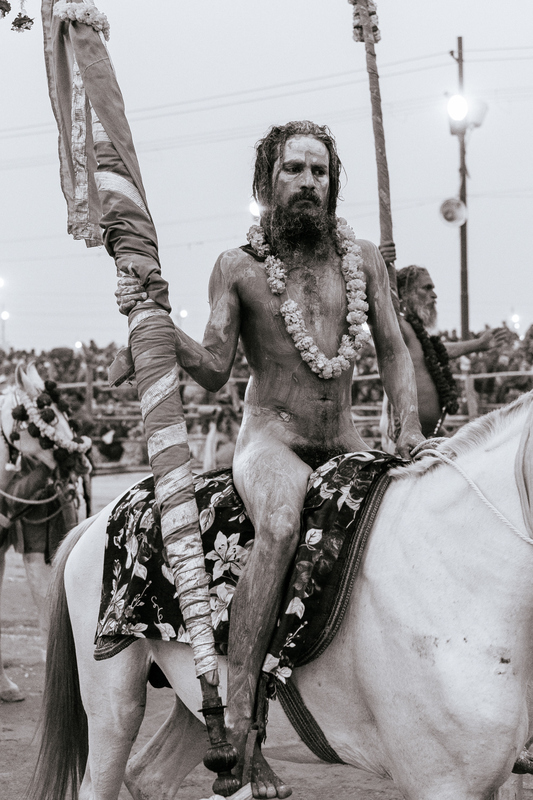 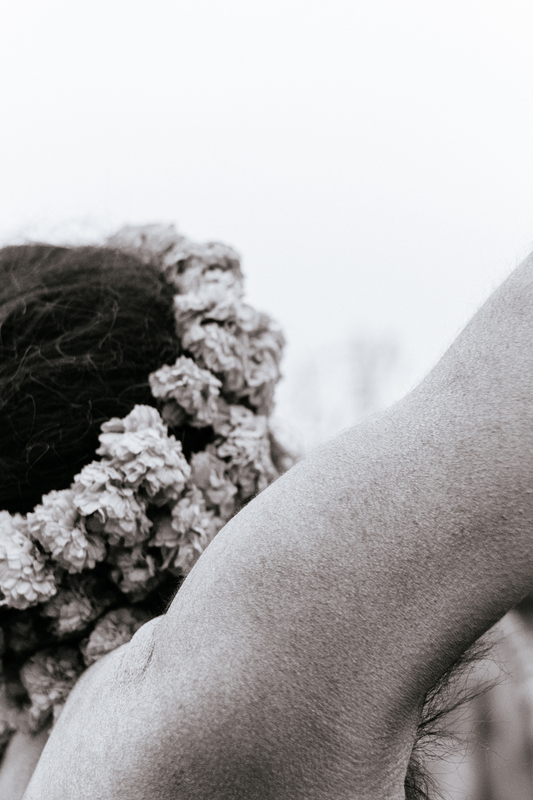 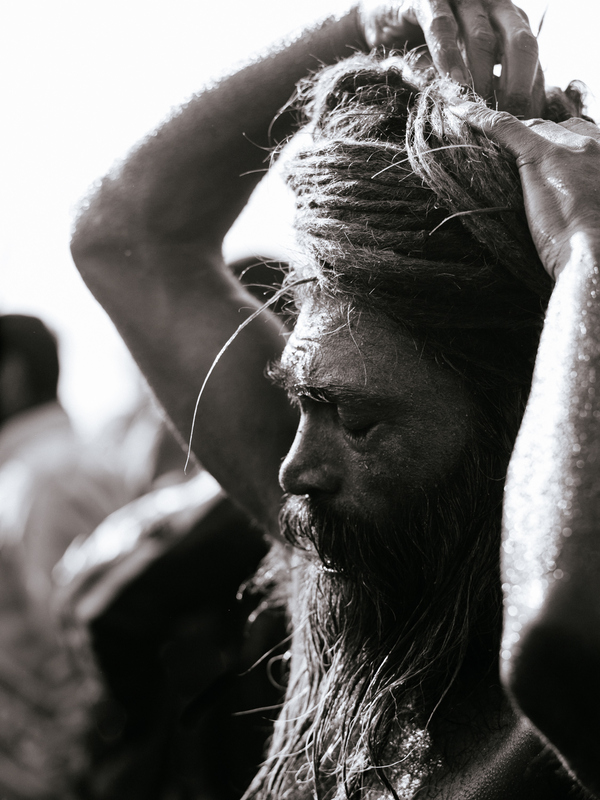 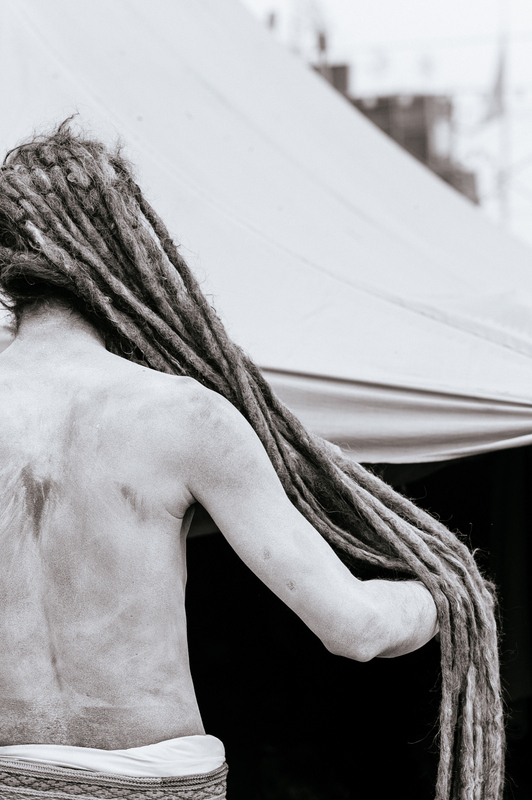 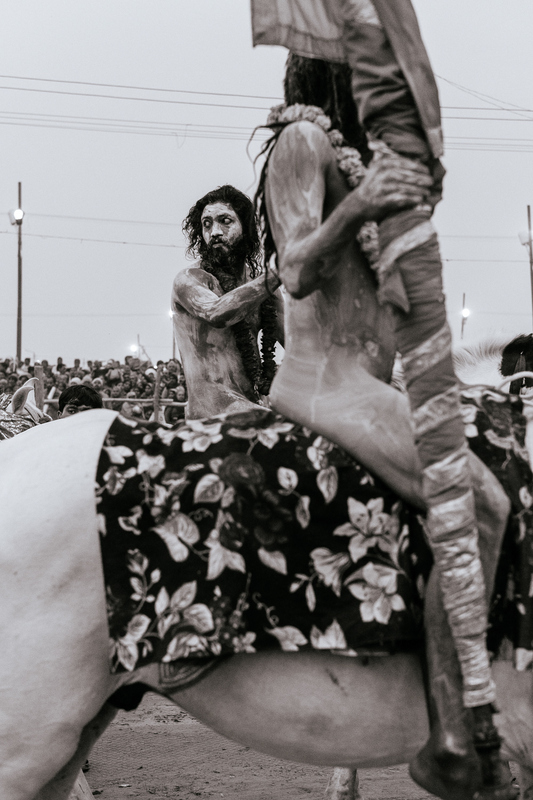 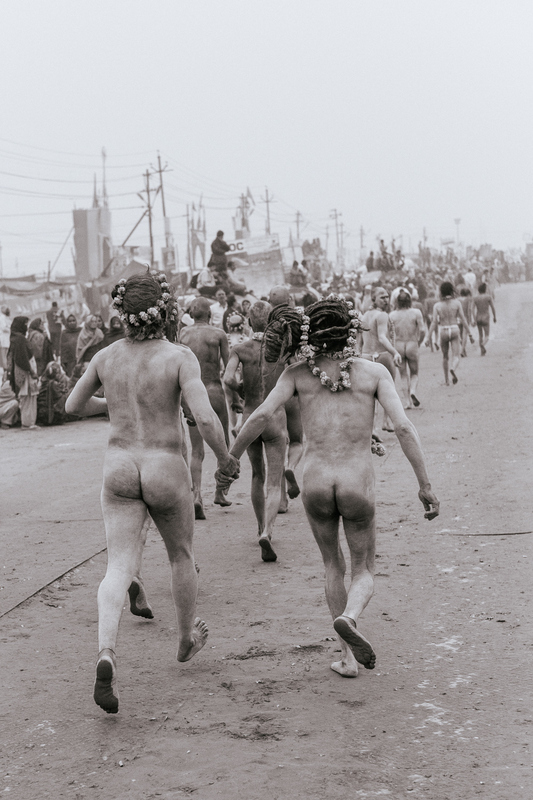 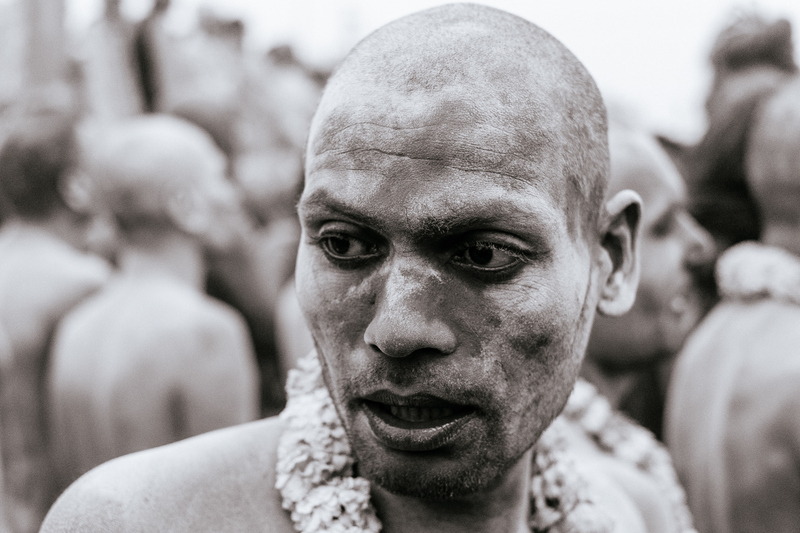 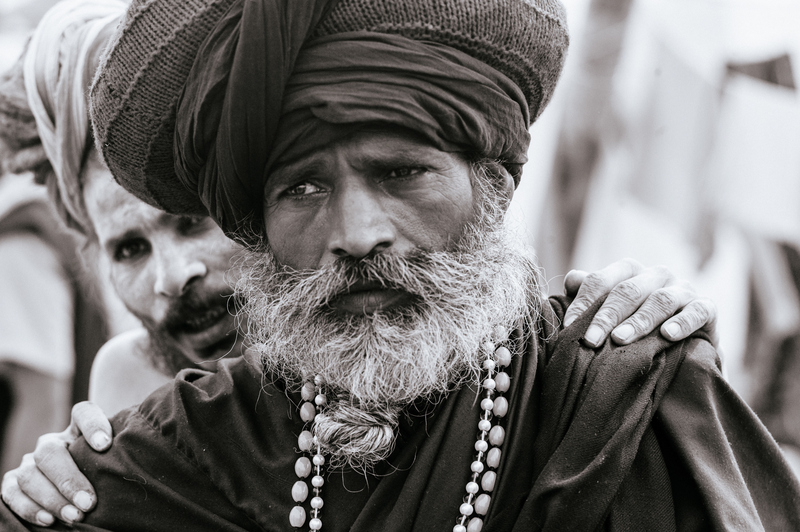 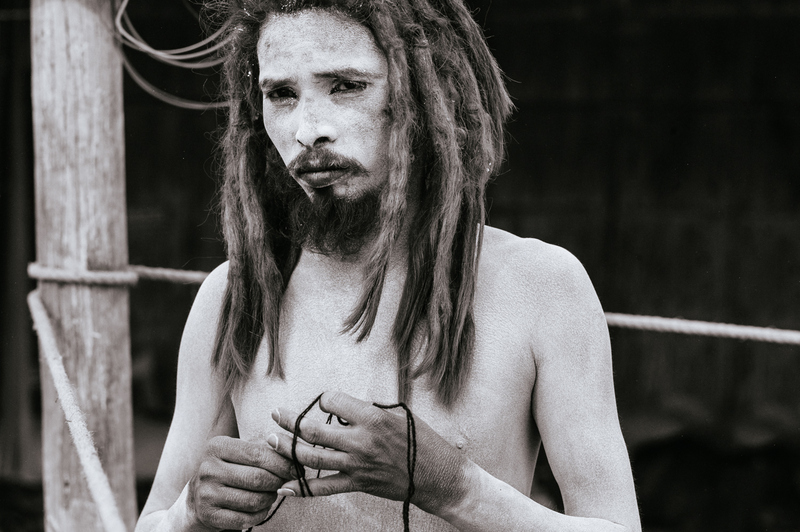 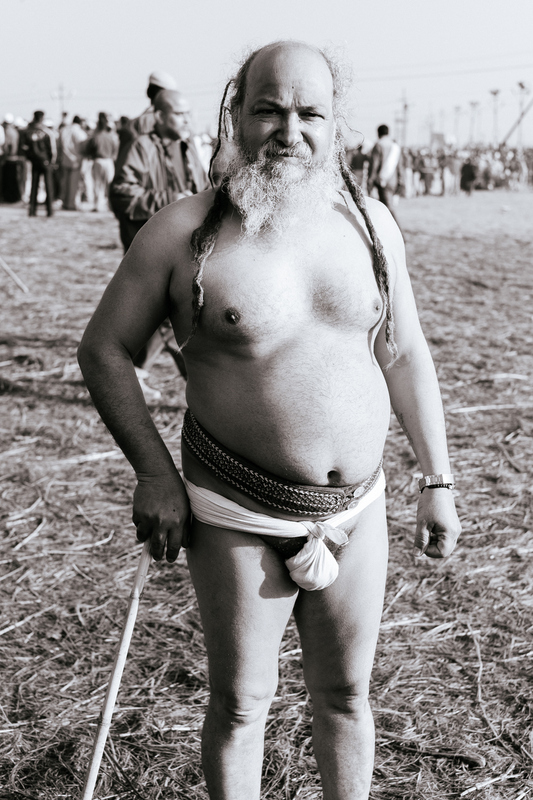 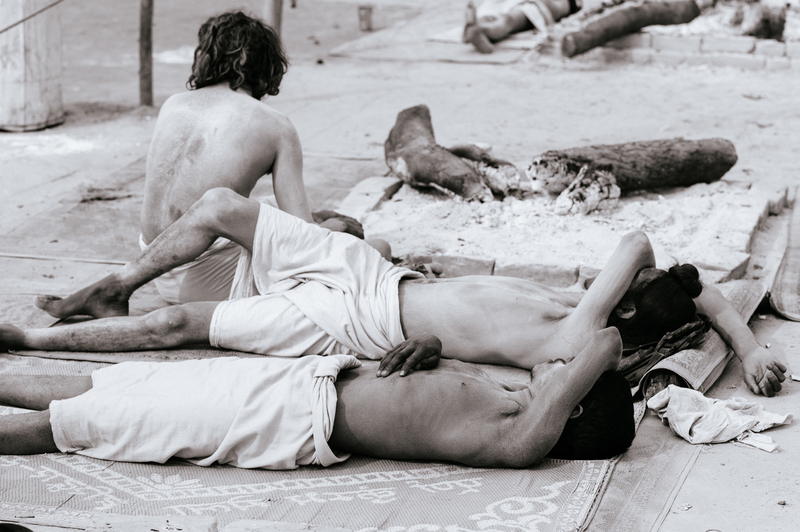 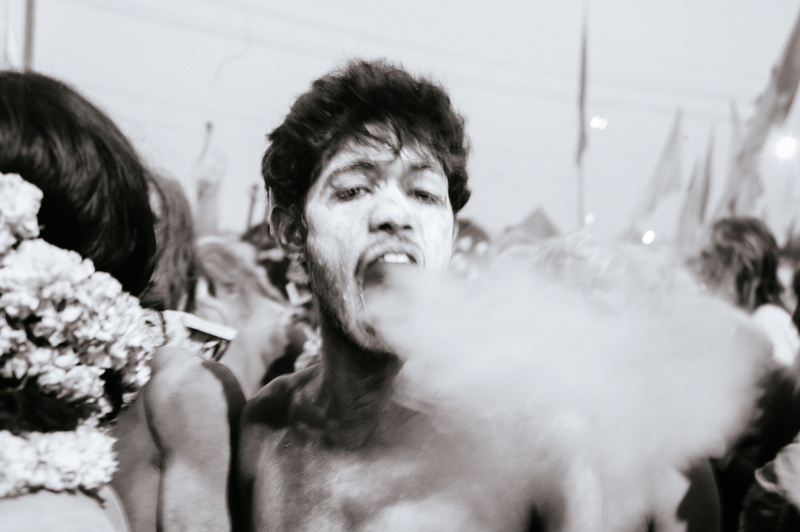 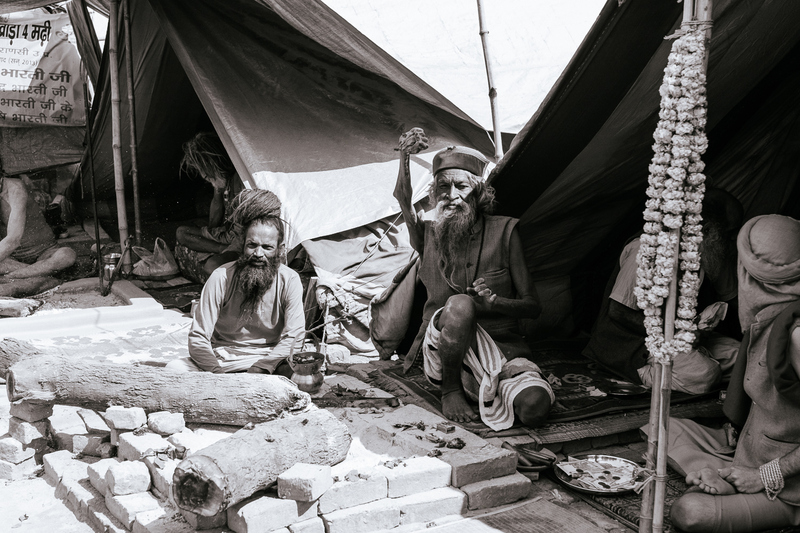 These are images that were taken at the 2013 Kumbh Mela. 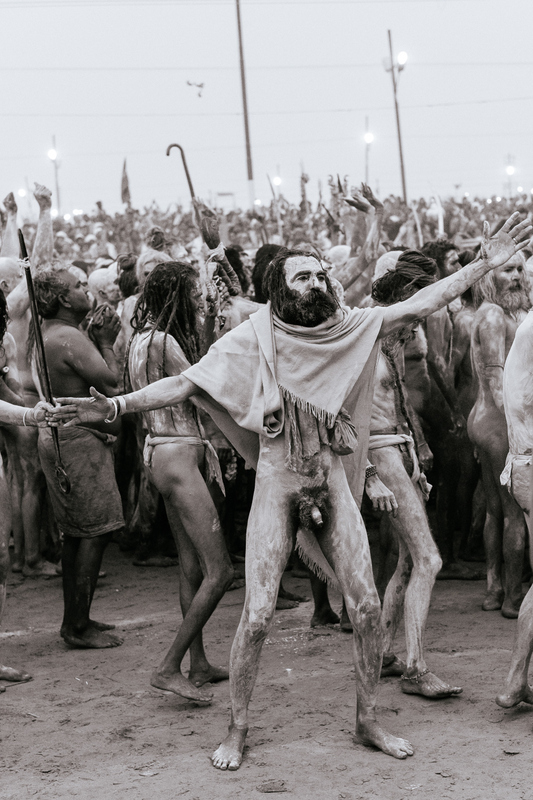 This Kumbh is the mother of all Kumbhs and is the 144th. 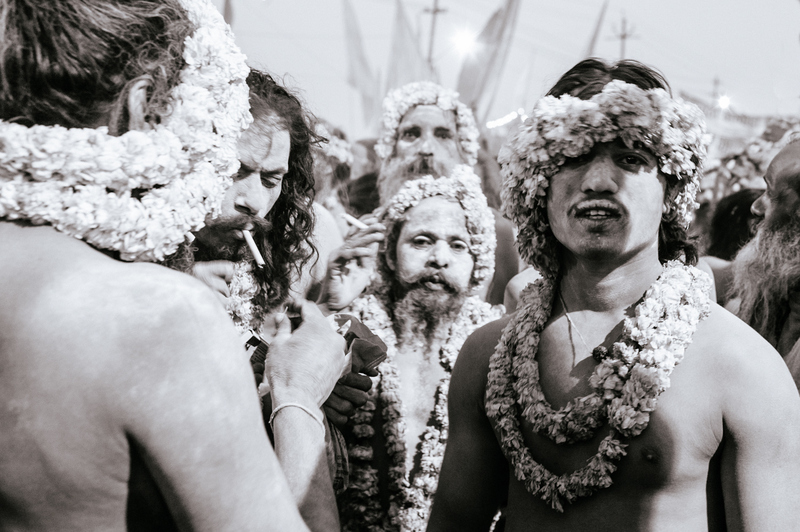 This festival only happens once every 490 years. 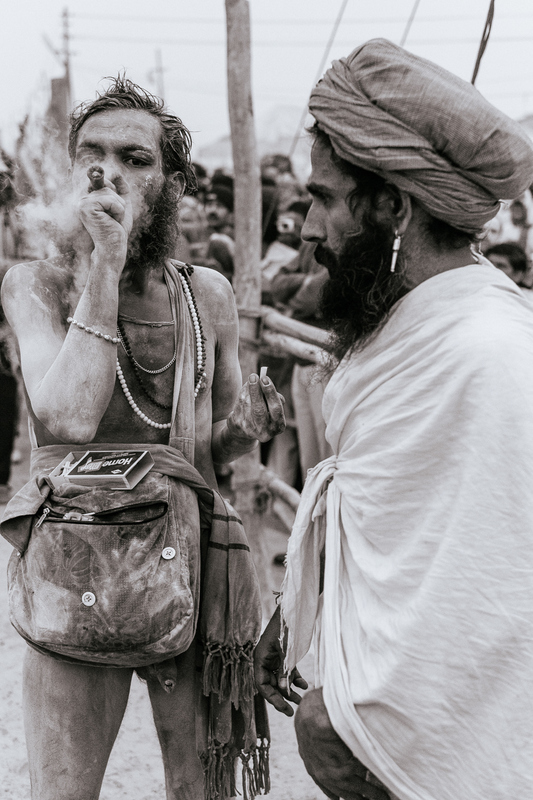 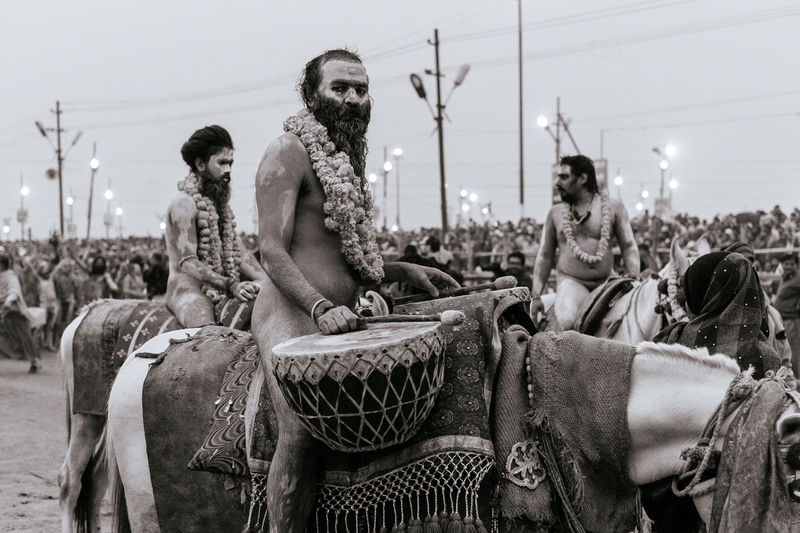 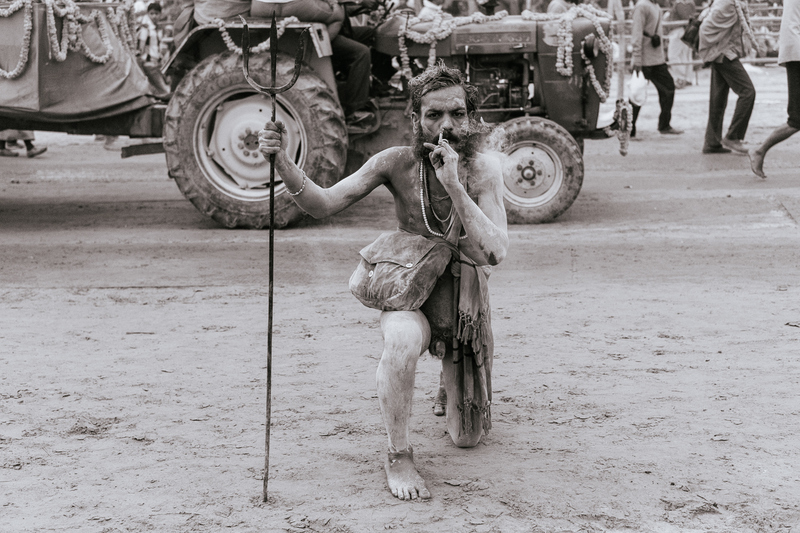 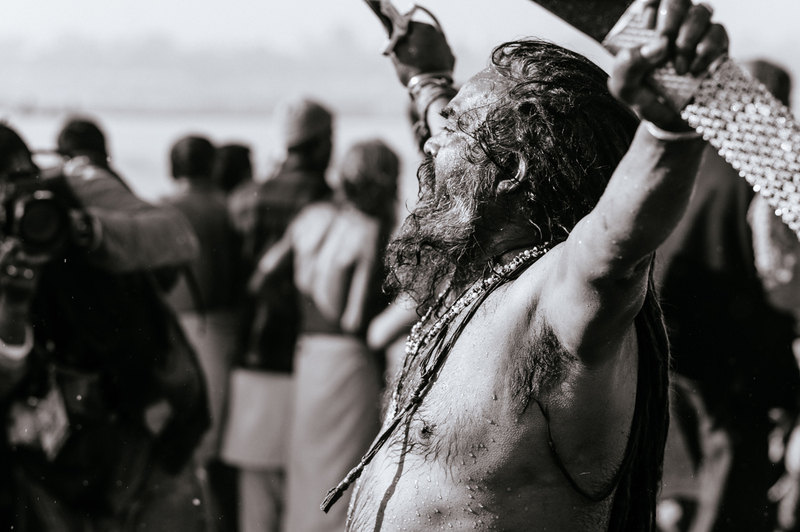 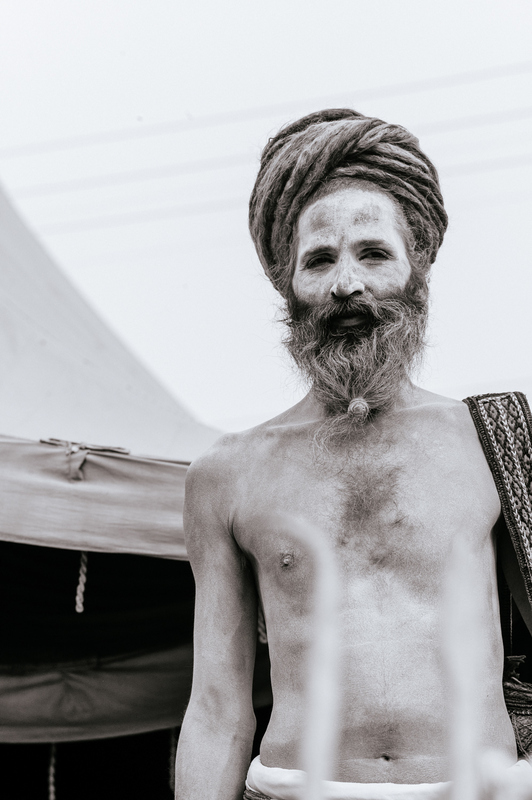 This series of images focuses on the Naga Sadhu's at the 2013 Kumbh Mela, they were taken on the most ouspicious day (10th Feb), On this day there were 35 million human beings, which makes this festival the largest gathering of humans any where in the world. 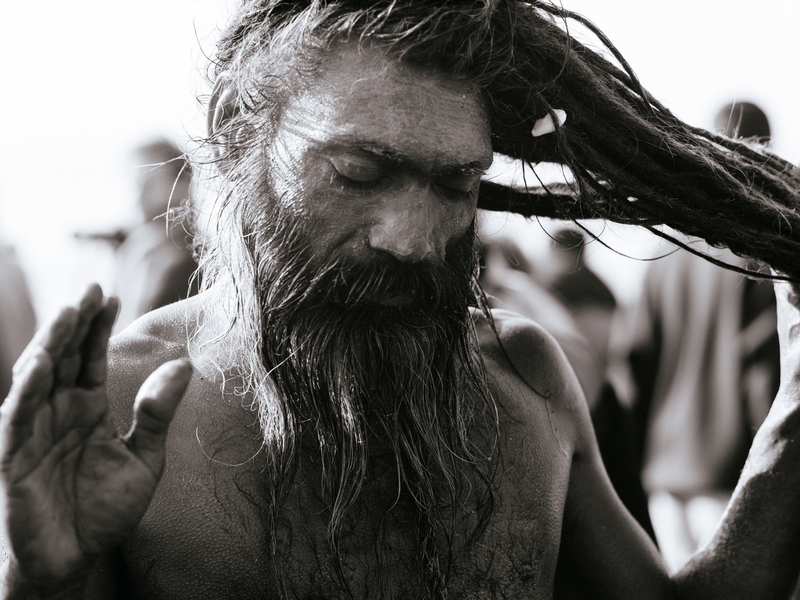 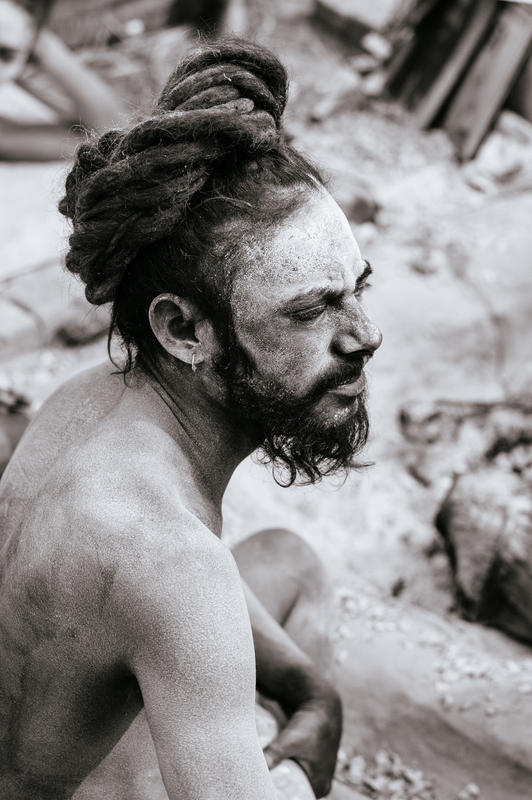 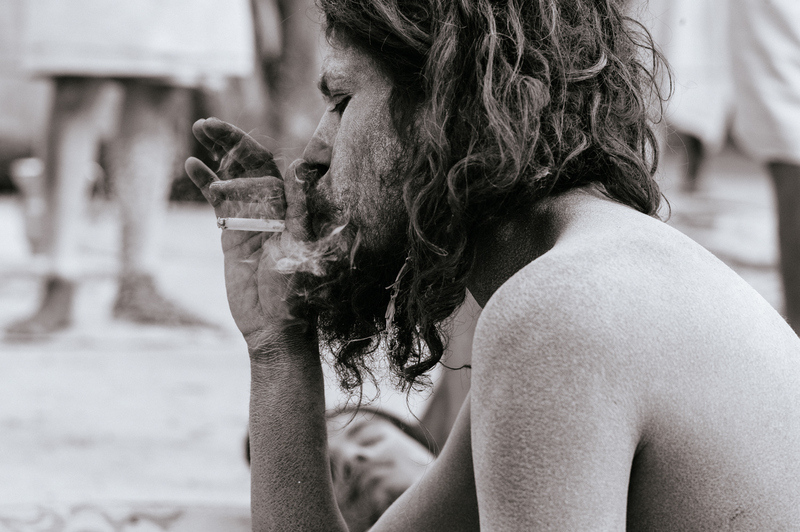 In Hinduism, a Sadhu means a "good man or holy man". 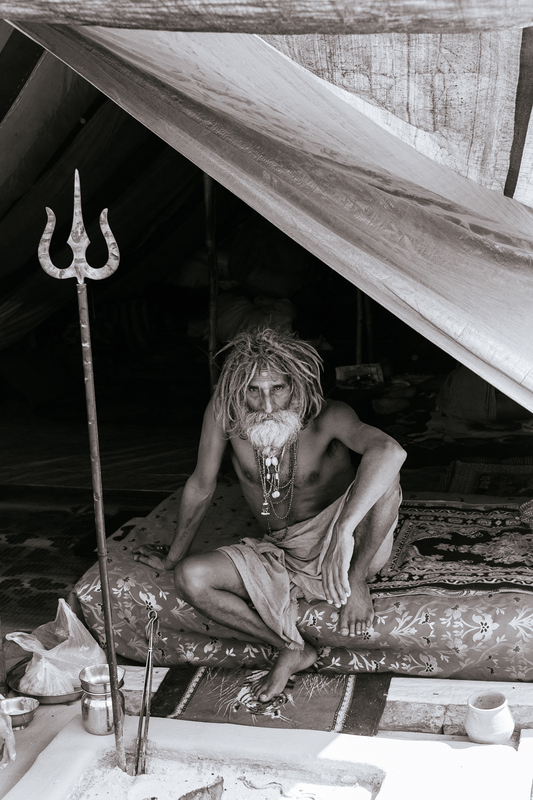 The sādhu is solely dedicated to achieving moksa or liberation, the fourth and final asrama or stage of life, through meditation and contemplation of brahman.Sadhus often wear saffron-coloured clothing, symbolising their renunciation. 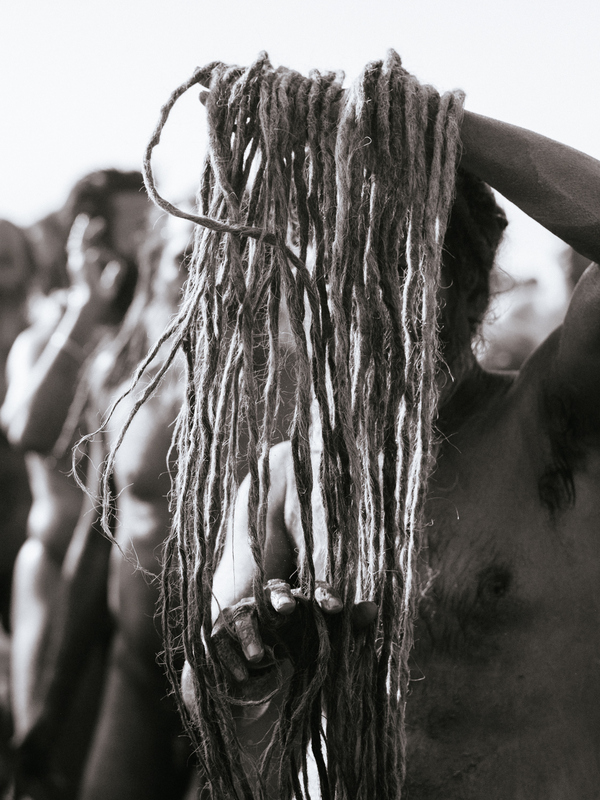 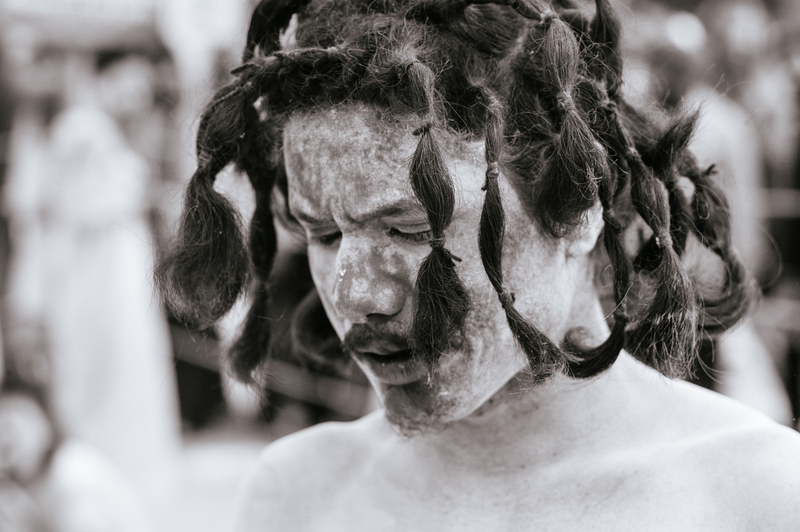 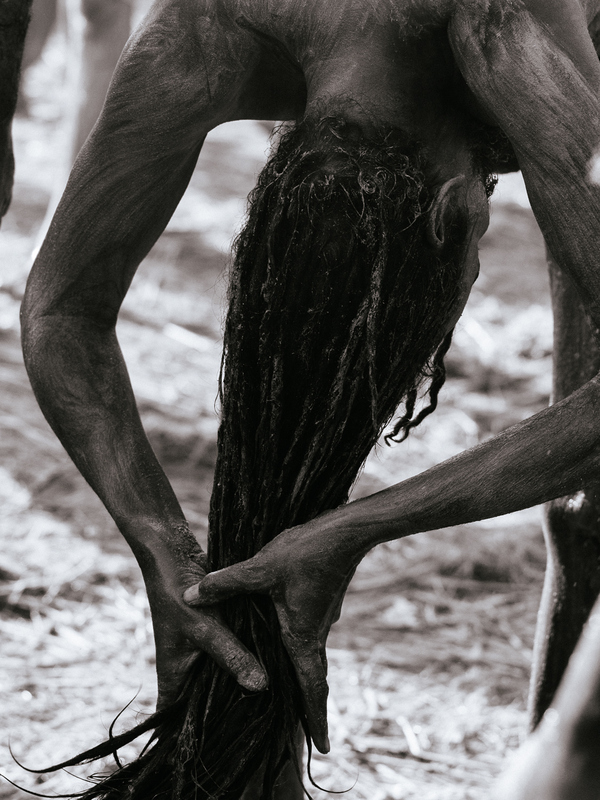 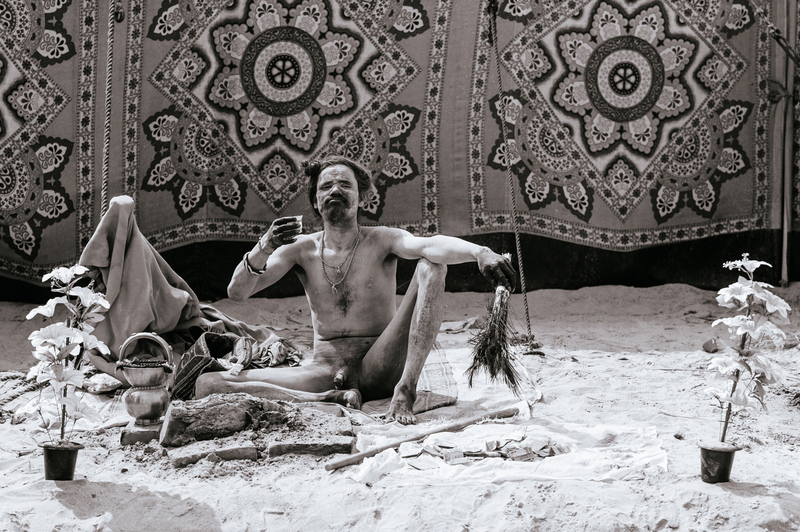 This series of photographs shows the Naga Sadhus (Naked Sadhus) who don't wear clothes, just a layer of ash. 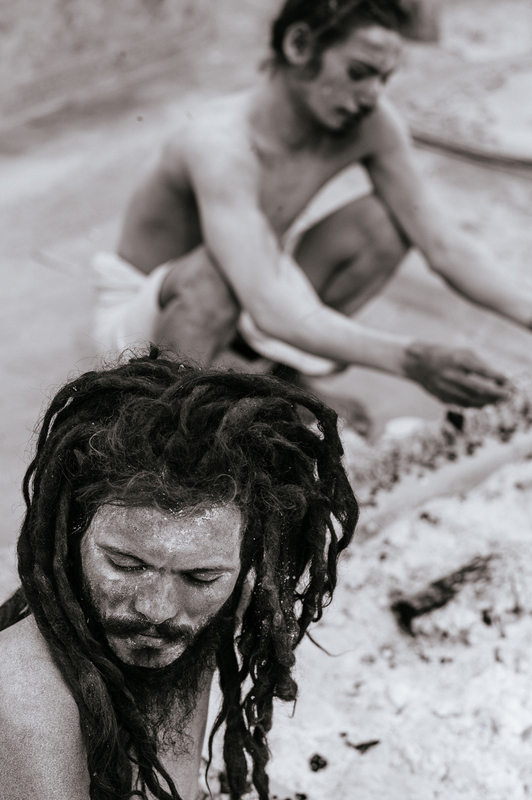 The layer of ash symbolic of death and regeneration. 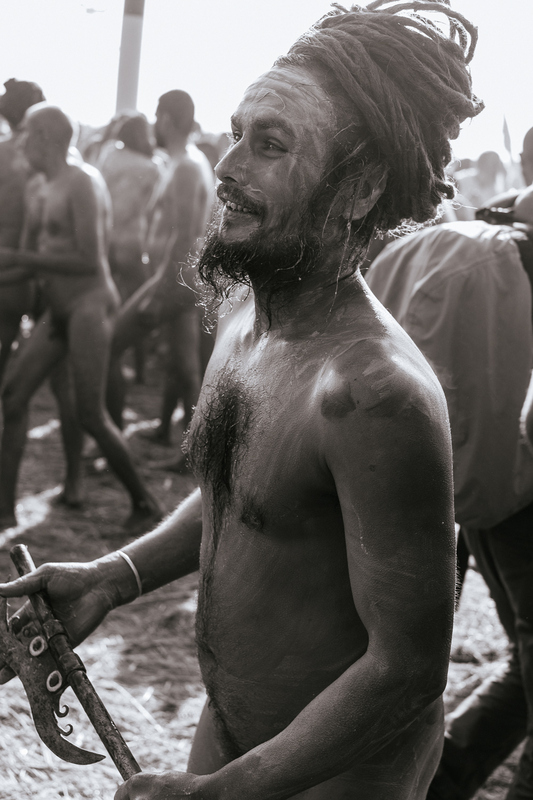 On the auspicious days the Naga Sadhus as well as the other Hindu's run into the Ganges and take a dip, to cleanse their souls. 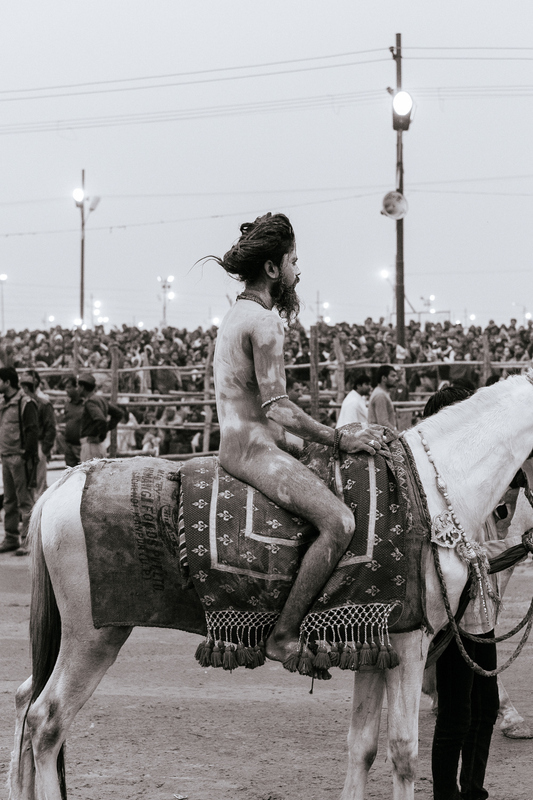 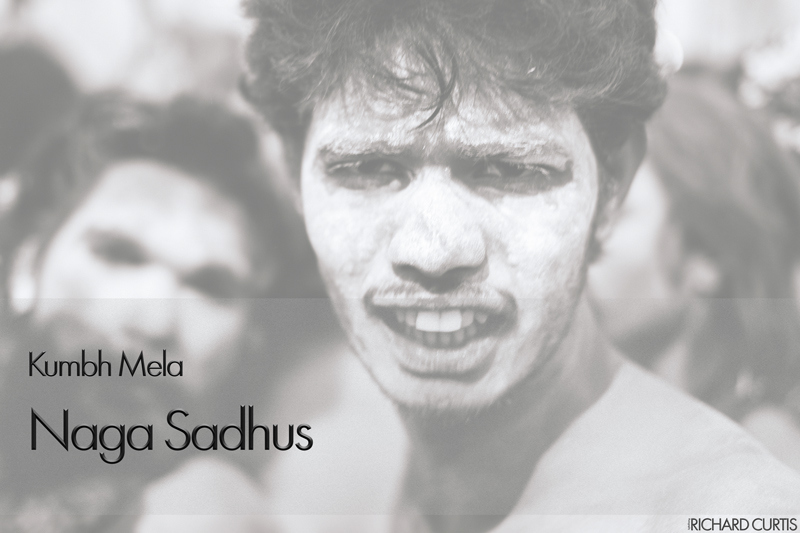 Some footage from the Mela that show's the Naga Sadhu's running to the Ganga for a dip.